A Rocker’s Guide to the Galaxy is a journey through time and space. The time, 1957 onwards - the space, the planet Earth. The journey is a supersonic trip. Your Cadillac is on the runway to the speed of sound, and beyond… Blast-off. Dave Taylor has somehow been part of my life for the last 30 years or so. Dave had been playing in various rock'n'roll bands since the early 1970s but, for me, it all started in 1976, when Dave was a member of The Hellraisers, one of the rock’n’roll bands that performed at the legendary Pickett’s Lock Festival in May 1976. A festival that embodied the British rockabilly boom of the mid to late 1970s. We released the best of the live recordings from Pickett’s Lock on a Charly compilation album titled “Rock’n’Roll is still alive”, which sold in excess of 100,000 copies. This album included a track called “Dim Light Boogie”, written by the young pianist in the Hellraisers, Dave Taylor. Dave’s unmistakeable rocker's image and considerable musical talent was soon recognised in rock’n’roll circles, especially after his recording of “Cadillac Car”, which narrowly failed to turn into a big crossover top 40 hit. 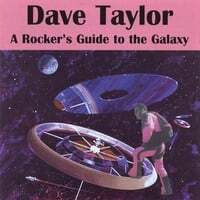 As long as I've known him, Dave Taylor has been a true citizen of the world, rocking his audiences in Holland, France, Germany Belgium, Finland, Norway, Sweden, Russia, Portugal, Spain, Italy, Hong Kong, The Philippines, Japan, Macao, the USA, Canada and any other nation I might not be aware of. Yet, Dave always came home from his musical adventures, surprising me with a visit upon his return, that invariably included an English pint or three. Dave’s musical orientation betrays his eclectic taste. His favourite musicians include piano players like Merrill Moore, Freddie Slack, Count Basie and Neville Dickie, guitarists Speedy West and Barney Kessel, saxophonists Earl Bostic, Lester Young and Illinois Jacquet and trumpeter/vocalist Louis Prima. Dave’s talent to entertain a broad audience made him my obvious choice to provide the music for my 50th Birthday party. I hope to share his company and champagne for many years to come. Here’s to Dave Taylor, a rocker through and through. A Rocker’s Guide to the Galaxy is a journey through time and space. The time, 1957 onwards - the space, the planet Earth. The journey is a supersonic trip of Music that transverses styles and places through which Dave Taylor travels with his Piano, along the Milky Way. To hear the Music is to catch a flying star and slide down the rainbow to the pot of gold – it is all within your grasp if you only follow your instincts. The Music is ageless, timeless, spaceless. Feel the golden glow of harmony spiralling through the ages. Take a rocket to the moon or join a band of rockin’ rollin’ spacemen from Mars. The Music knows no form, no rules, no boundaries. The universe will not wait any longer. Your imagination is eager to be your chauffeur, your Cadillac is on the runway to the speed of sound, and beyond… Blast-off! Dave was only 20 when he took up an invitation to return to Scandinavia. He loaded his upright piano into the back of his van, and headed for Finland from London. The fact that he did not have a driving licence did not cause him too much concern, as he did not have a work permit either! In 1978 Dave arrived in the west coast town of Turku and drove to Jyväskylä, where he skimped aliving, playing small local venues. His travels then took him to Helsinki, where he had been engaged to perform in some smoky dives. While doing a show at the Alibi Club in Helsinki, Dave was approached by a talent scout from Finland's largest booking agency, Polartuotanto Oy, who asked him to take part in the legendary Finnish Rock & Roll contest of that time, the "King of Rock". Dave agreed and became an overnight sensation while performing in that event, at the Culture House in Helsinki. He was the absolute top of the bill that night, receiving rave reviews from all the critics - the Dave Taylor fever was a fact! Soon after the Culture House performance, Dave was booked back at the Alibi Club as the star attraction of the night, supported by one Alvin Stardust, who was currently number 1 in the UK charts! There were several thousand people at the "King of Rock" contest and, afterwards, these thousands of Finnish revellers went on the rampage, emulating the Rock & Roll concerts of the likes of Bill Haley in the 1950s. As for Dave, he was immediately signed up by Vexi Salmi of Levytuottajat Oy, one of the largest Finnish record companies. Jyrki Hämäläinen, Chief Executive of the major Finnish pop music magazine, Suosikki, exclaimed: “Dave Taylor is the most sensational act in Finnish show business today. He is without doubt the most promising and talented performer in years to arrive on the Finnish rock music scene, and certainly has something to offer every Rock & Roll lover no matter wherever in the world he is heard.” And so Dave was quickly whisked into the top Helsinki recording studio to record his first solo album, Rockin' in the Same Ol' Way. Keep it up Baby was one of the album tracks recorded in 1979 at Soundtrack Studios, Helsinki, and originally released on Dave's inaugural vinyl LP. That popular album featured the excellence of Finnish musicians of the day, and a brilliant baritone solo by Pentti Lahti. Raimo Henriksson, Chief General Manager of Warner Chappel Music, who later came to buy out Dave's publishing rights from Levytuottajat Oy, said: “Dave Taylor, as far as I am concerned, is a synonym for Rock & Roll at its best and in its purest and most flourishing form. His professionalism can clearly be heard in his recordings.”One such recording is Goin’ to Heaven, which is probably the closest that Dave has ever got to writing gospel music! This track was recorded in Finland with Dave’s then backing band, the "Jumping Paralyzers", who were joined in the studio by the renowned Martti Peippo on tenor sax (who went on to lead the Lahti Big Band, and still does today). In 1980 Dave was left in charge of a Helsinki recording studio, Takka Studios, for two weeks, while its owner was away on holiday. He decided to make the most of that time by creating the album Countrybilly (later to be known as Jive Jive Jive on its UK Charly release), where the Boogie Woogie instrumental, Fingertippin’ Boogie, was first released. Featuring Olli Haavisto, Finland’s only pedal steel player at that time! Also a product of those two weeks was I’ve Lost Her This Time. The backing singers on the track consisted of a choir from the local church who turned up to record an album while Dave was studio-sitting, and they then found themselves singing backing vocals for him! After this ballad, Dave wrote and recorded Rockabilly Lumberjack. Listen out for the unique glass-breaking piano sound in Dave’s solos, which became Dave’s trademark sound. All the tracks recorded for the Countrybilly/Jive Jive Jive album were inspired by Dave’s interest in Western Swing, as well as Dave’s personal favourite piano player, Merrill E Moore. Dave’s combination of these influences produced the unusual and dynamic sound of the album. Seppo Elonen, the celebrated journalist of Blues News magazine, once quoted about Dave’s recordings: “No better Rock & Roll record has ever been made in Finland. Dave’s music has to be categorised as Rock & Roll, even though his style is original to such an extent that Dave’s own definition of ‘Swing Rock’ describes his music a great deal better. Mr Elonen added that Dave is a very convincing vocalist and a positively brilliant piano player - which can clearly be heard in the big band arrangement of Saturday Night Fish Fry, the classic Louis Jordan track, recorded in 1982 at Takomo Studios, Helsinki. The crème de la crème of Finnish big bands in action, led by Dave’s friend and colleague, the late Paul Fagerlund, together with Markku Johansson. Hear the tension building up throughout the track. Dave adopts a very jazzy piano style on this one. Blueberry Hill is one of the numbers Dave likes to perform at his live shows, here arranged by Dave for a fine, large orchestra, recorded in London in 1989. The track features Dan Quinton on double bass, and a great tenor sax solo by Nick Pentelow (on his day off from the West End musical 'Blood Brothers'). Over the years, Dave has performed this song from Finland to the Philippines and from Hong Kong to Homerton, and everywhere in between. When the Finnish authorities eventually discovered that Dave was working without a work permit, and that, in addition to this, he was living with his then girlfriend who was only 15 years old, he was promptly deported. This left in jeopardy many contractual engagements for TV and radio appearances, live performances and recordings, and consequently this resulted in an eloquence of lawyers running around like headless chickens, endeavouring to sort matters out. They quickly got to work, securing a work permit for Dave. Meanwhile, Dave decided to set up his own company, DT Records, to employ the many musicians and administrative staff needed to keep the show on the road. On the grounds that Dave became an employer to many Finnish nationals, it would have been untenable for the authorities to decline his re-entry, thus denying a number of Finnish musicians their livelihood. Consequently, Dave was welcomed back to Finland with open arms and even the then Finnish President, Mauno Koivisto, gave his personal dispensation for Dave to marry his 15-year old girlfriend, Tina. In view of the Finnish authorities’ earlier stance, Dave wrote a song for them, entitled Mind Your Own Business. Listen out for the unusual flattened fifth stabs in the verses. The guitarist booked for the recording session could not make it and, at the last minute, Dave ventured to his favourite Helsinki haunt, St. Urho's Pub, in search of a replacement guitarist! As Dave explained to the authorities in a letter, the first chorus line of the song “Why Don’t You Mind Your Own Business”, loosely translated, meant “why don’t you form your own company and look after it”... Well, luckily the powers that be swallowed it, and were very pleased with this magnanimous gesture! Dave worked in Finland for a few more years before deciding to return to the UK in 1983 to further pursue his musical career. Boogie Woogie Countrygirl came about when Dave got together with bass player Jarrod Coombes and guitarist Jim Knowler, from the Keytones. The Joe Turner version of this song used to be played frequently in the Rock & Roll clubs in the 1970s and was always one of Dave's favourites. Anyone could easily be fooled into thinking that Jarrod is playing an electric bass, but it really is a double bass! The first break in the song was intended for a piano solo, but the backing riff turned out so powerful that it did not deserve to be covered up! Here is also a jazzed-up version of Giddy-Up-A-Ding-Dong, written by Freddie Bell, whom Dave had worked with as recently as 2004, with superb playing both by John Wallace on tenor sax and Jim Knowler on guitar. Listen out for the real horse whinnying, recorded over the fence of Dave’s back garden! Meanwhile, back in Finland, Mona Lisa was released on a single in 1979, with Dave’s own Dim Light Boogie on the A-side. Graham Fenton (of Matchbox fame) also recorded this song on the Pickett’s Lock 'live' album Rock'n'Roll is Still Alive three years earlier, together with his then band, the Hellraisers, featuring Dave on piano. Mona Lisa is a song which Dave had always liked, and he decided to do it in the Louis Prima style. Pentti Lasanen and Pentti Lahti on saxes in the Finnish band deserve a special mention. Dave was booked to play a special one-off tour of Italy in 1995 and was supplied with a 9-piece Italian band by the name of the Good Fellas: Lucky Luciano (double bass), Fabrice La Motta (drums), Johnny Costa (guitar),Jimmy Gennaro (keyboards), Rico Romano (trumpet), Charlie Martino (trumpet), Wally di Capua (sax), Benny Marsala (sax), J.J. di Giacomo (trombone). They turned out to be one of the best backing bands Dave has ever played with and he still works with them now. Dave has recently accomplished many successful tours of Italy, performing at various clubs and festivals and, in April 2006, celebrated his 32 years of playing Rock & Roll at a commemorative gig in Cesena, Italy. Jumpin’ at the Woodside is a fabulous, fast and furious big band arrangement, highlighting a multitude of top London players. Recorded at Yard Studios and Wave Studios, London, in 1986, it is Dave’s tribute to Count Basie, and what a tribute! The all star musicians include Alan Elsdon on trumpet, Olaf Vass on baritone, Peter Ind on double bass, Terry Smith on guitar, Gerry Hogan on pedal steel and Paul Robinson on drums, as well as featuring Don Lang (of the legendary TV show '6-5 Special') in the trombone section. Dynamite! Tell Me - another of Dave’s tremendous ballads, written by him at the age of 15 - is released here for the first time on CD. The haunting oboe is beautifully played by Katie Clemmow. Alan Carvell provides the magnificent backing vocal harmonies, with Howard Tibble (from Shakin' Stevens' band) on percussion. The version of Choo Choo Ch’ Boogie on this CD is a stark contrast to the one Dave first released in 1981 - faster, punchier and solid Rock & Roll. This track was recorded at the prestigious Abbey Road Studios, with the vocal track recorded and mixed at Midnight Rock Studio. There had been a double-booking at Abbey Road on the morning of the scheduled recording with the result that, when we arrived, the studio was instead reserved for Paul McCartney & Wings! Paul had not yet arrived, but Wings’ drummer, Steve Holly, was there and agreed that we could use Paul McCartney’s studio time for the morning session. When our drummer then phoned to say he was going to be late, Steve Holly offered to step in and play drums on the track. It also features Tim Green (of Mungo Jerry fame) on guitar. In 1981, Dave wrote Rock Me, and recorded it in Finland. He released it on his own DT Records label. It later featured in an advertisement for Beaver's Jeans and was promoted by that company to such an extent that it went on to sell over 75,000 copies. Millennium Rock was a special millennium release, which Dave was commissioned to write for a live show he performed on Millennium Eve at a private party in Cardiff, hosted by Sir Dai Llewellyn, with a celebrity guest list featuring many faces from the Who’s Who of the political and society elite. The track became part of a limited edition release of 2000 CDs, entitled Time for Rock & Roll. Lipstick, Powder & Paint is the fruits of the same recording session as Boogie Woogie Countrygirl. The song Cryin’ over You is the epitome of what a smoochy ballad should sound like, and of Dave’s own composing, with an admirable number of key changes for those who like their music more challenging! Nick Pentelow provides the terrific alto sax solo. She Won’t Rock represents more from Dave’s two-week Takka Studio shut-in session. An imaginative combination and unique sound of Country, spiced with Rockabilly. From the recording session in 1979 at Soundtrack Studio comes Tell Me Why. What a jiver! One of the backing vocalists, Vesa Enne, was the very first Rock & Roll singing child star in Finland and hugely popular - sadly no longer with us. Caldonia is a swinging big band recording from the Takomo Studio session of 1982. Originally recorded with an intricate electric bass line but Dave wanted slap bass, so he brought in a Rockabilly bass player and overdubbed the 'slap' only onto the track - which is not as easy as it sounds. Caldonia’s big head has never been hotter! In 2004, Dave was voted into the Rockabilly Hall of Fame! By way of post-scriptum, In July 2004 Dave was arrested and charged with "facilitation of an illegal immigrant". It transpired that a corrupt police officer had given false information to the public prosecutor, which culminated in Dave potentially facing a 14-year custodial sentence for people smuggling, due to the vast number of international trips he had made. Dave spent two years on bail as he fought to clear his name. The authorities decided to drop all charges after Documents seized from his home proved swiftly that the only foreign national he had traveled with was his wife, who had regularly accompanied him to gigs on the Continent. Producer Dave Taylor. Executive Producer Vexi Salmi. Arranger/Conductor Paul Fagerlund. Sound Engineer Harold Burgon. Studio Soundtrack Studio, Helsinki, 1978. Musicians: Lead Vocal/Piano Dave Taylor. Guitar Heikki Laurila. Trumpet Jörgen Petersen. Alto Sax Pentti Lasanen. Tenor Sax Juhani Aaltonen. Baritone Sax Pentti Lahti. Trombone Juhani Aalto. Bass Pekka Sarmanto. Drums Ilpo Kallio. Backing Vocals Vesa Enne, Kaj Lind, Irina Milan. Solos: Piano Dave Taylor. Tenor Sax Pentti Lasanen. Producer/Arranger Dave Taylor. Sound Engineer Pekka Nurmikallio. Studio Microvox Studios, Lahti, 1982. Musicians: Lead Vocal/Piano Dave Taylor. Guitar Jari Siekkinen. Tenor/Baritone Sax Martti Peippo. Tenor Sax Jukka Keranen. Double Bass Jukka Manninen. Drums Olli ‘Pig Daddy’ Ahonen. Solos: Guitar Jari Siekkinen. Baritone Sax Martti Peippo. Piano Dave Taylor. Sound Engineer Juha Heininen. Arranger/Producer Dave Taylor. Studio Takka Studio, Helsinki, 1980. Musicians: Lead Vocal/Piano Dave Taylor. Guitar unknown. Pedal Steel Olli Haavisto. Bass Martti Peippo. Drums unknown. Solos: Pedal Steel Olli Haavisto. Sound Engineer Juha Heininen. Arranger/Producer Dave Taylor. Studio Takka Studio, Helsinki, 1980. Musicians: Lead Vocal/Piano Dave Taylor. Guitar unknown. Pedal Steel Olli Haavisto. Tenor Sax Martti Peippo. Bass Martti Peippo. Drums unknown. Backing Vocals Hiekkalahti Church Choir. Solos: Pedal Steel Olli Haavisto. Tenor Sax Martti Peippo. Sound Engineer Juha Heininen. Arranger/Producer Dave Taylor. Studio Takka Studio, Helsinki, 1980. Musicians: Lead Vocal/Piano Dave Taylor. Guitar unknown. Pedal Steel Olli Haavisto. Tenor Sax Martti Peippo. Bass Martti Peippo. Drums unknown. Backing Vocals Hiekkalahti Church Choir. Solo: Piano Dave Taylor. Sound Engineer Antti Joki. Arranger/Conductor Kaj Backlund. Producer Dave Taylor. Studio Finnlevy Studios, Helsinki, 1975. Executive Producer Vexi Salmi. Dave's vocal recorded at Takomo Studio, Helsinki, 1982. Musicians: Lead Vocal/Piano Dave Taylor. Guitar Heikki Laurila. Trumpet Kaj Bäcklund, Markku Johansson, Simo Salminen. Alto Sax Pentti Lasanen, Hannu Saxelin. Tenor Sax Joel Lahti, Juhani Aaltonen. Baritone Sax Kalle Fält. Trombone. Sointu Huuskonen, Juhani Aalto. Bass Pekka Sarmanto. Drums Ilpo Kallio. Sound Engineer Martin Giles. Arranger/Producer Dave Taylor. Studio Chocolate Factory, London, 1989. Musicians: Lead Vocal/Piano Dave Taylor. Guitar Barry Squires. Alto Sax Pete Thomas, Nick Payne. Tenor Sax Dave Bitelli, Bimbo Acock, Olaf Vass, Nick Pentelow. Baritone Sax Kit Packham. Double Bass Dan Quinton. Electric Bass Glynn Evans. Drums Paul Robinson. Solo: Tenor Sax Nick Pentelow. Producer Dave Taylor. Studio Martin Brushane Studio, Helsinki, 1981. Musicians: Lead Vocal/Piano Dave Taylor. Double Bass Ari Hanninen. Guitar unknown. Drums Jere Laukkanen. Solos: Piano Dave Taylor. Guitar unknown. Producer/Arranger/Sound Engineer Dave Taylor. Studio Midnight Rock Studio, 1999. Musicians: Lead Vocal/Piano Dave Taylor. Guitar Jim Knowler. Pedal Steel BJ Cole. Tenor Sax John Wallace. Baritone Sax Mike Hobart. Trombone Robert Jarvis. Bass Jarrod Coombes. Drums Paul Robinson. Solos: Piano Dave Taylor. Tenor Sax Mike Hobart. Pedal Steel BJ Cole. Trombone Robert Jarvis. Guitar Jim Knowler. Producer/Arranger/Sound Engineer Dave Taylor. Studio Midnight Rock Studio, 2003. Musicians: Lead Vocal/Piano Dave Taylor. Band The Midnight Rock House Band. Solos: Piano Dave Taylor. Tenor/BaritoneSax John Wallace. Guitar Jim Knowler. Producer Dave Taylor. Executive Producer Vexi Salmi. Arranger/Conductor Paul Fagerlund. Sound Engineer Martin Brushane. Studio Martin Brushane Studio, Helsinki, 1979. Musicians: Lead Vocal/Piano Dave Taylor. Guitar Heikki Laurila. Tenor Sax Pentti Lasanen. Baritone Sax Pentti Lahti. Bass Pekka Sarmanto. Drums Ilpo Kallio. Solos: Tenor Sax Pentti Lasanen. Baritone Sax Pentti Lahti. Sound Engineer Phil Chilton. Mixing Engineer Martin Giles. Arranger Paul Fagerlund/Dave Taylor. Producer Dave Taylor. Studio Yard Studios and Wave Studios, London, 1986. Mixed at Twickenham Film Studios and Wave Studios. Musicians: Lead Vocal/Piano Dave Taylor. Guitar Terry Smith. Pedal Steel Gerry Hogan. Trumpet Raoul D'Oliveira, Stuart Brooks, Lawrence Parry, Alan Elsdon, Tony Hepworth, Richard Sidwell. Alto Sax Pete Thomas, Nick Pentelow. Tenor Sax Dave Bitelli, Bimbo Acock, Olaf Vass, Nick Payne, Nick Pentelow. Baritone Sax Bud Beadle. Trombone Don Lang, Pete Thoms, John Mumford. Bass Trombone Chris Gower. Bass Peter Ind. Drums Paul Robinson. Solos: Piano Dave Taylor. Tenor Sax Dave Bitelli. Baritone Sax Olaf Vass. Trombone Barry Weston. Drums Paul Robinson. Producer Dave Taylor. Arranger/Conductor Paul Fagerlund/Dave Taylor. Sound Engineer Phil Chilton/John Ravenhall. Mixing Engineers Martin Giles/Dave Taylor. Studio Yard Studios, 1986. Mixed at Wave Studio/Midnight Rock Studio, 1998. Musicians: Lead Vocal/Piano Dave Taylor. Pedal Steel Gerry Hogan. Bass Glynn Evans. Drums Paul Robinson. Acoustic/Electric Guitar Barry Squires. French Horn B.Onenine, Margorie Dunn. Oboe Katie Clemmow. Cello Nicki Thomas, Amanda Goodall. Viola A. Nette, G. Raham. Violin Jonathan Rees, Peter Hanson, Jackie Shave, Bob Loveday. Percussion Howard Tibble. Backing Vocals Alan Carvell. Solo: Oboe Katie Clemmow. Producers Phil Bailey/ Dave Taylor. Studio Abbey Road, London,1981/Midnight Rock Studio, 2005. Musicians: Lead Vocal/Piano Dave Taylor. Drums Steve Holly. Guitar Tim Green. Bass Martin Wooltorton. Horn Section unknown. Backing Vocals Alan Carvell. Solo: Piano Dave Taylor. Producer/Arranger Dave Taylor. Sound Engineer Martin Giles. Studio Chocolate Factory, London 1989/Midnight Rock Studio 1999. Musicians: Lead Vocal/Piano Dave Taylor. Guitar Barry Squires. Pedal Steel Guitar Gerry Hogan. Trumpet Raoul D'Oliveira, Stuart Brooks, Alan Elsdon, Tony Hepworth, Richard Sidwell. Alto Sax Pete Thomas. Nick Payne. Tenor Sax Dave Bitelli, Bimbo Acock, Olaf Vass, Nick Pentelow. Baritone Sax Kit Packham. Trombone Don Lang, Pete Thoms, John Mumford. Bass Trombone Chris Gower. Double Bass Dan Quinton. Drums Paul Robinson. Solos: Tenor Sax John Wallace. Trumpet Stuart Brooks. Producer/Arranger/Sound Engineer Dave Taylor. Studio Midnight Rock Studio, Herne Bay, 1999. Musicians: Lead Vocal/Piano Dave Taylor. Guitar Jim Knowler. Pedal Steel B.J. Cole. Tenor Sax John Wallace. Baritone Sax Mike Hobart. Trombone Robert Jarvis. Bass Jarrod Coombes. Drums Paul Robinson. Solos: Piano Dave Taylor. Tenor Sax John Wallace. Pedal Steel BJ Cole. Trombone Robert Jarvis. Guitar Jim Knowler. Producer/Arranger/Sound Engineer Dave Taylor. Studio Midnight Rock Studio, 2001. Musicians: Lead Vocal/Piano Dave Taylor. Band The Midnight Rock House Band. Solo: Alto Sax Nick Pentelow. Sound Engineer Juha Heininen. Arranger/Producer Dave Taylor. Studio Takka Studio, Helsinki, 1980. Musicians: Lead Vocal/Piano Dave Taylor. Guitar unknown. Pedal Steel Olli Haavisto. Tenor Sax Martti Peippo. Bass Martti Peippo. Drums unknown. Backing Vocals Dave Taylor. Solos: Piano Dave Taylor. Pedal Steel Olli Haavisto. Tenor Sax Martti Peippo. Producer Dave Taylor. Executive Producer Vexi Salmi. Arranger/Conductor Paul Fagerlund. Sound Engineer Harold Burgon. Studio Soundtrack Studio, Helsinki, 1978. Musicians: Lead Vocal/Piano Dave Taylor. Guitar Björn Björninen. Trumpet Jörgen Petersen. Alto Sax Pentti Lasanen. Tenor Sax Juhani Aaltonen. Baritone Sax Pentti Lahti. Trombone Juhani Aalto. Bass Pekka Sarmanto. Drums Ilpo Kallio. Backing Vocals Vesa Enne, Kaj Lind, Irina Milan. Solos: Piano Dave Taylor. Tenor Sax Pentti Lasanen. Sound Engineer Antti Joki. Arranger/Conductor Kaj Backlund. Producer Dave Taylor. Studio Finnlevy Studios, Helsinki, 1975. Dave's vocal recorded at Takomo Studio, Helsinki, 1982. Musicians: Lead Vocal/Piano Dave Taylor. Guitar Heikki Laurila. Trumpet Kaj Bäcklund, Markku Johansson, Simo Salminen. Alto Sax Pentti Lasanen, Hannu Saxelin. Tenor Sax Joel Lahti, Juhani Aaltonen. Baritone Sax Kalle Fält. Trombone Sointu Huuskonen, Juhani Aalto. Bass Pekka Sarmanto. Drums Ilpo Kallio. Solos: Piano Dave Taylor. Tenor Sax Pentti Lasanen. It has to be one of your best yet! Just wanted to say, thanks for the CD. It has to be one of your best yet, and a really interesting document of your Finnish work. I hope it sells well. I received the CD this morning and gave it a listen. I've enjoyed it, and I'm going to write rave reviews,he really does justice to the full rock'n'roll sound of Bill Haley. wow Dave!! I am completely blown away by your talent, I really enjoyed checking out your music.